Submit your project’s details. 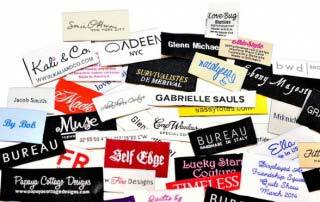 Make sure to include your logo, quantity and size needed. Review and approve your price quote and artwork. Confirm your billing and shipping information. Review your Project’s Pre-Production Details. We will send you production art for your review before mold making. About 3-4 days after confirmation, we will make your mold and send you a picture of your product for your review, before starting full production. We will complete your order within 3 weeks (sometimes faster for re-orders). Your order will be ready to ship, via Fedex Ground (2Day and Overnight available). Personnel are well-versed in the products. The quality of the pvc keychain is superb…the detail is clean and crisp. Delivery was on schedule. Becky Liuchan is a dream to work with. She bends over backwards for me, even though I’m a tiny account. Becky is what has kept me coming back to Linx three times in a row now, and will keep me coming back for my future needs. The art department is also extremely talented and the finished product is a great value. -Colin. Denali Lead. Excellent customer service. Always got in touch with my rep. No complicated phone tree. Very fast response, amazing quick art set-up, and proofing. Great price for small runs. Don’t change a thing in customer service. The Sales Rep that I worked with is outstanding. He knew exactly what I wanted and was able to create an identical product to what my idea was. This company is very professional and timely from start to receipt of shipment.